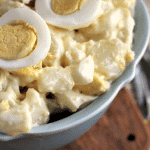 Home » Best Ever Potato Salad! Who’s with me on the fact they love, love, love potato salad, but they are super duper picky about potato salad? Come on…I know you want to raise your hand! This potato salad is a delicious classic recipe with the basics. 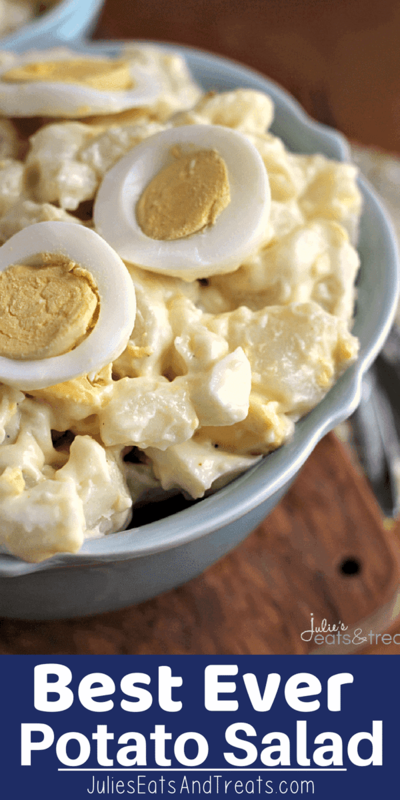 It’s a great jumping off potato salad recipe that you can add your favorite add-ins too. 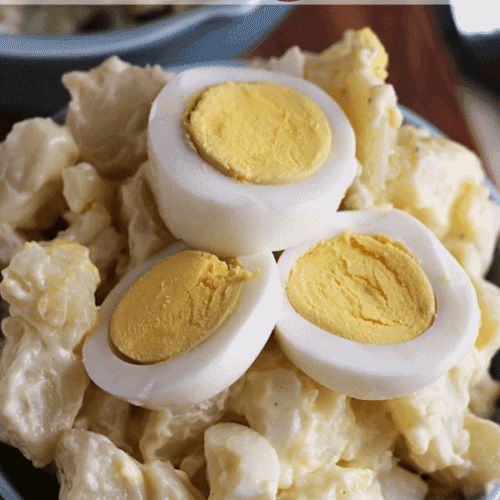 Tender potatoes, hard boiled eggs in a classic potato salad makes it the best potato salad ever! 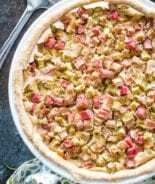 If you are looking for some more twists on potato salad make sure to check out Roasted Red Potato Salad or our delicious Bacon Ranch Potato Salad! I love it, but I grew up on the kind that was from the deli at the grocery store. Then my sister-in-law came into our family and wowzers can her mom make a mean potato salad. I mean she bribes me to family events by telling me that her mom is bringing her potato salad. It’s that good people. Then I married my hubs. I was blessed with his grandma that also makes an amazing potato salad. Then I got jealous. I mean I’m a blogger who can’t make a potato salad! What’s this about it? I need to fix this or you will all disown me. Since I was little my mom instilled a potato salad fear into me. She told me it was so hard due to her fear of it. I think the main reason we have this fear is all these people that just throw a little bit of this, a dash of this and a scoop of this into the potato salad. Not much help for us newbies is it? Nope. None at all. Then I got my hands on my husband’s grandma’s recipe and I was bound and determined to make it. I informed my mom we were going to attempt this feat at the lake this past weekend. Then she let on that she had went and watched my sister-in-law’s mother make potato salad and wrote down the approximate measurements. Now I knew we could do this! So we tackled the potato salad. We took both recipes and went from there. Why is it so much easier to do scary things like this when you have someone else to look at as they test they taste test and go from there? I may have made fun of my mom that she was that scared of some potato salad and it took her this long to try it! She then told me that she hated failure and always wanted to get things right on the first try so this is why it intimidated her so much. Hmmmm guess we know where I got that from! We tackled it, we dominated it and we enjoyed it! 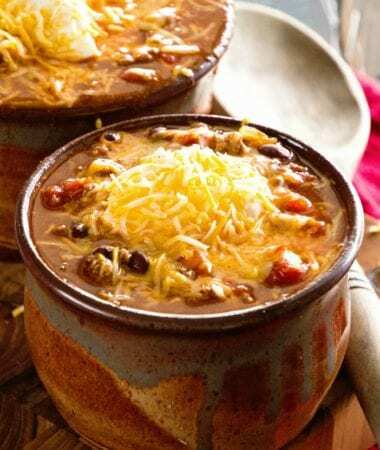 If you also have a grandma that never wrote her recipe down this is for you! Good luck! I’m going to add that this recipe is totally adaptable. If you want some onions add them, or if you don’t like eggs don’t add them. 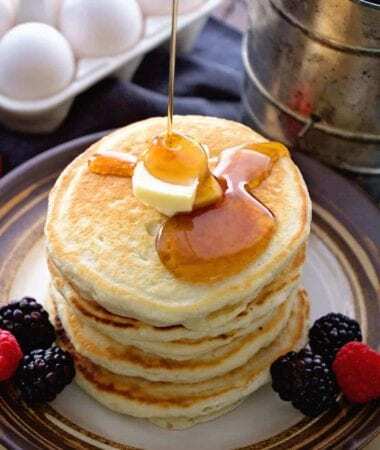 Want it sweeter? Add some more sugar. Like it with more mustard. Knock yourself out! First thing is to peel and dice your potatoes! Then throw them in a stick pot and cover them with water. Bring it to a rapid boil and the boil over medium heat for 5-7 minutes or until potatoes are tender. Drain and cool potatoes. While the potatoes are cooling whisk whipping cream for 1 minute then add Miracle Whip, mustard, sugar, salt, pepper and vinegar. Mix until combined. Pour the dressing mixture over the cooled potatoes. Please and dice three hard boiled eggs. Add to potatoes and stir to combine. Gently!! Make sure you boil your potatoes until just tender, over tender potatoes will crumble when you mix everything together. I use Miracle Whip, but feel free to change it out to mayonnaise if you prefer. Go for the full fat version for best results. If you’d like onion, add in 1/2 c. sweet onion finely diced. Another great addition if you like pickle relish is adding in 1/2 c. sweet pickle relish. Many people like to add in 1 Tbsp celery seeds or 1 tsp celery salt. You can even finely dice a few stalks of celery if you want that crunch! I’ve also seen fresh chopped dill added to create another flavor profile. 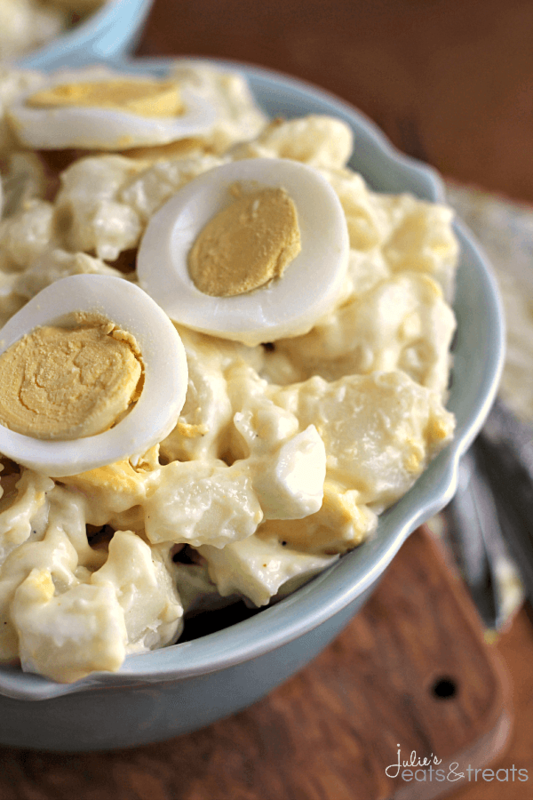 Like I previously mentioned, this is a classic, basic potato salad recipe. If you want to create different flavor profiles please feel free to add in the ingredients mentioned above to suite you taste buds. 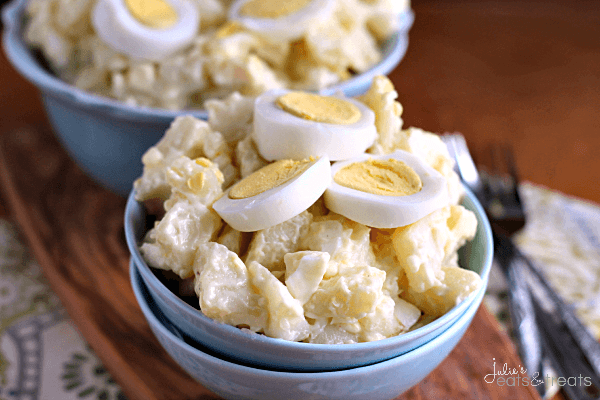 This is a great potato salad to jump off from and make it your own! What type of vinegar did you use? White vinegar, red wine vinegar, apple cider vinegar? Definitely want to make this – haven’t found the “perfect” one yet. 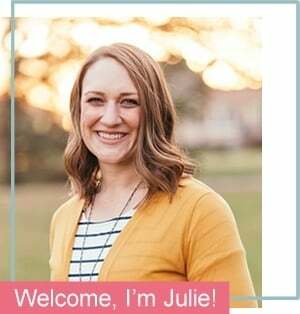 Thank you for all your postings, Julie! I’m new to your postings, but can’t wait to try so many of them! I have to say this is the first time I have ever seen such nasty comments on a food blog. It’s a recipe, for Heaven’s sake. If you don’t like to try new recipes, then unsubscribe and continue to make your own recipes so that the rest of us who like to try new recipes can do so without reading all your vile comments. I am going to try this one. I have always just throwed whatever I could find in the fridge in mine. But so tired of fixing it that away and my taste for it has decreased. This way sounds so delicious. Julie, Thank you for the opportunity to step out and make my first attempt to comment on a blog. Yes, I have also cooked for over 40 years, and your recipe is exactly like my grandmother’s. I alter mine and use white potatoes as I don’t like red. My sister also makes potato salad, and hers is different than mine. She does not like mine. Oh well, each to their own. It would be a very dull world if we all did things the exact same way. Folks, enjoy the diversity, and freedom of choice. That is an awesome option if you like pickles Diana! I love your blog and look forward to reading every post! Keep on trucking and I’ll keep reading. Right??? Like it’s POTATO SALAD peeps! Never ever imagined this when I hit publish! Thanks for your sweet words! Tater Salad Drama! Nothing surprises me any more but this did make me smile and chuckle. 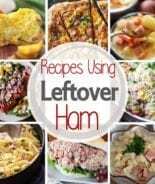 recipes- I always try to make something my own, so I add and take away freely. You are a great blogger, as I am sure you know but it never hurts to hear praise when due. Right… at first (this started a long time ago) I was bit hurt, but now I just laugh. Thicker skin with the experience in blogging seems to happen! Thank you for your sweet words! 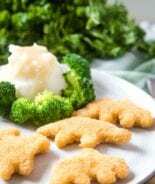 I have made many of your recipes, some as written, some changed to reflect my familys likes. Always great. If we didn’t have recipes to try (and personalize), we would all still be eating burnt meat from over a firepit. Keep doing what you do, sad that some people just want to complain. P.S. Will be adding some whipping cream to my potato salad this weekend and I am sure it will be great. Thanks Happy Cooking! I once went to a party and was asked to bring a salad. Every family (4 in total) brought potato salad and everyone was different. We laughed, heaped our plates and enjoyed every delicious mouthful and we all learned a new recipe! 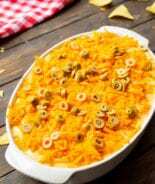 my potato salad is just like yours except I use sweet pickle juice instead of vinegar and add green onions Old family recipe. So, I think yours is great!!! LOL, I needed this today! 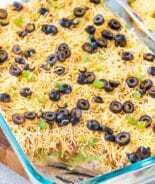 I use my grandma’s recipe, and I love it. The only difference is I use Hellman’s real mayo, not the miracle whip and whipping cream. I think I will try the change just to see the difference. Glad I could provide some laughs 😉 Mayo is the typical ingredients I just grew up on the Miracle Whip and Whipping cream combo and got used to it! Sorry, my mother and grandmother always used Hellmann’s mayo and that’s what I use. I couldn’t even begin to make potato salad with Miracle Whip. Yuck! However, I did learn a new trick from you. We always boil the potatoes whole, cool and then cut them up. Next time I make potato salad I will peel and cut up the potatoes to boil. Ooooo I’m so glad to hear that you loved it!!! THIS is how my mom has always made it, but she is a “dump cook” so I’ve never known how much of anything to put in so thank you, thank you, thank you! Have a lovely Easter! YAY! Love this. This came from a “dump” cook until I sat down while she made it and measured it!